Neighbours and visitors will have noticed that the cattle have disappeared from the farm, and that sheep have appeared (in Sheep field, appropriately). 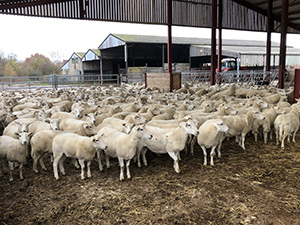 This is part of a change in the management of the farm, with the ending of the previous long-term tenancy on 31st October, and the start of a new share farming operation. 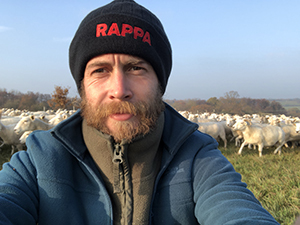 ORC is working with James Edwards, the new share farmer, to operate the farm together so that it can contribute more to supporting ORC’s research, demonstrating and communicating good organic practice and the public benefits, and providing a base for future workshops and discussion groups. The main focus of the new organic enterprise will be sheep – James has sheep on several farms in the region, but this flock will be managed organically from 2019 and James will be moving into Elm Farm Cottages, with his sheep dogs, in December. Please make him and his stock welcome! The introduction of sheep to the farm does present a few challenges. Firstly, these sheep are naturally wool shedding – they don’t need shearing but they will look scruffy at times. Please don’t be alarmed, they are well cared for! Secondly, they get through fences that cattle don’t! We will be carrying out boundary fencing work to make the fences sheep proof over the next few winters, but we can’t do it all at once. James will use electric fencing within the farm, but at times this may cross the farm trail or public footpaths – James is aware of the footpaths and will put in place stiles to enable footpath users to cross the fences when they are in the way. We will be bringing cattle back next year, and maybe other animals in a couple of years – watch this space. In the meantime, if you have any concerns, or the sheep do escape phone us at ORC on 01488 658298.